Meow. This sleepy little beggar is Whiskers, on his chair; well, the chair he has claimed. 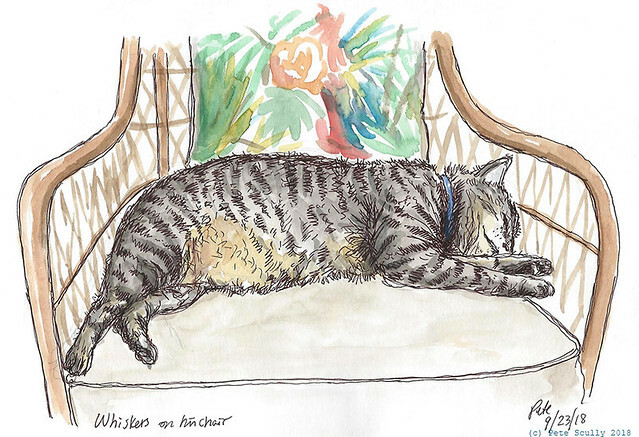 He was having a good old nap on a Sunday afternoon, so I drew him. His tummy is very fuzzy. Am I a cat sketcher now?